Hair loss is experienced by people of varying ages and sexes. Females feel more concerned about hair loss than men especially since their hair plays an integral role in making them feel good about themselves. Let us look at how common hair loss is as well as some of the treatments that are available to help restore its growth. A good method of knowing how widespread the hair loss issue is for women is by looking at the statistics. Reviewing the statistics shows that 25 percent of females have experienced thinning or lost hair. Furthermore, androgenetic is what makes up for the 95 percent of female hair loss. Androgenetic alopecia is a common form of hair loss in both men and women. For women, this results from hormonal changes, like in pregnancy or menopause. Speaking of menopause, during this time 4 out of 10 women suffer from thinning hair. Age is also considered to be a huge contributing factor in the development of hair loss with over 50 percent of women over age 65 have reported thinning hair. The same can also be said with regards to stress and depression as this can speed up hair loss development. In a 2012 study by the National Institute of Health, 29 percent of women suffering from hair loss reported two or more symptoms of depression. Another thing to note is that 21 million American women currently suffer from some form of alopecia. Furthermore, among them, 12 percent of women pursue restoration treatment. Treatment for hair loss does indeed exist with many offering reliable results. This in turn helps women impede hair loss development while at the same time it makes their hair healthier and much stronger in the process. It is good to hear that there are many options when talking about hair loss treatment for women. This helps patients find a particular treatment that is able to suit their preferences and needs. Topical medications such as Minoxidil are often used as hair loss treatment for women. This medication helps slow hair loss and also promotes hair regrowth in some people. Minoxidil is also offered in a form of liquid solution that is available over the counter making it quite accessible to a huge number of patients in the present. Laser treatments are also popular, and they work by reducing the inflammation in follicles that inhibits hair from regenerating. Although laser treatments are considered to be a bit more expensive, this procedure enables quick results compared to topical medications. Knowing how to stop hair loss will also contribute greatly in helping you maximize the effectiveness of the medications that you are currently taking. Stopping hair loss involves making some changes in your diet and lifestyle. In your daily meals, make sure to add protein, iron, zinc, and vitamin B12 that you can get from lean meats, leafy greens, nuts, beans, and fish. Some lifestyle changes include meditating which is a good way to relieve stress. What to Look for with your Hair Loss Treatment? By the time men reach their 50s, it is said that 1 out of 3 of them experience hair loss. Hair loss unlike fever doesn’t have an instant cure. Technology and advances in modern science have discovered treatments for hair loss for both men and women. Apart from that, preventive measures have also been discovered; and for any condition, prevention is always better than cure. That’s why you have to know certain facts about what causes hair loss in men. Are You Going To Continue To Let Your Hair Fall Out? Are you going to continue to watch your hair get thinner and thinner? 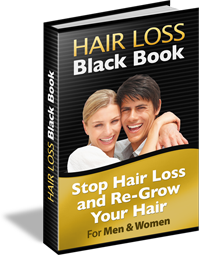 Or are you ready to attack your hair loss at the source and naturally re-grow your hair? At age 40, there is a natural decline in the production of keratin which is the main cause of baldness. Keratin is hair cells produced by hair follicles or those tiny holes found on the sin surface. This condition of keratin loss is called involutional alopecia. This is why you usually hear people say that getting bald is inevitable like aging. There are also particular medications that if not consumed moderately can interfere in scalp and hair growth. Steroids, blood thinners, chemotherapy, and anti-depressant drugs are some examples of these. Hormonal imbalance is another factor which is known to cause a condition called androgenic alopecia. This is caused by an increased level of androgens within the follicles. If there’s excessive production of androgens, it can disrupt the normal functions of hair follicles and hair regeneration. Such hormonal imbalance has a genetic nature, and this can lead to total hair loss or baldness. Hair loss may also be caused by poor diet and eating disorders. It’s necessary to provide the scalp with the following vitamins and minerals: zinc, magnesium, vitamins C and E, among others. Mental stress may also contribute to hair loss. People who are stressed would experience muscle constriction in the scalp area. There are also some people who want to know what causes hair loss in women. Men and women may share the same causes for hair loss but there are also those that are specific only to each gender. Hormonal imbalance for instance is also a cause for hair loss in women. However such hormonal imbalance in women can be triggered by pregnancy. Like men though, the condition may be genetic by nature in women as well. Medications can trigger hair loss in women. Birth control pills are some of the most common medications that can cause this. For both men and women certain diseases can also cause baldness such as diabetes, thyroid problems, anemia, and nutritional deficiency. Women are also fond of applying many varying chemical treatments on their hair and scalp. Some of these are dyes, perming solutions, hot oil treatments, and even highly potent shampoos. Such substances are known to reduce the hair’s life span. Aside from eating the wrong food which is common among women especially when their cravings start during ovulation, one thing that can cause hair loss in women is going through crash diets. These diets can cause vitamin and mineral deficiency. Women also get stressed too easily especially when it comes to running the household. Stress is a major cause of hair loss, and this can be avoided through stress relief methods.